Edwards pens his concluding remarks by demonstrating how God may justly withhold mercy and by offering a brief section that he entitles, practical improvement (what we would call application). The primary argument that Edwards sets forth is basic: Since unconverted men are naturally hostile to God and prove to be his enemies, it is just with God should he chose to withhold his mercy. Whenever mercy is supposed to be mercy, it becomes non-mercy – for mercy is under no obligation, whatsoever. Again, should mercy become obligatory, it ceased to be mercy. First, how causelessly you are enemies to God. He reminds the unconverted about the Providential designs of God; how he has showered his common grace on those who hate him. Second, consider how you would resent it, if others were such enemies to you, as you are to God. He adds, “Consider therefore, if you, a poor, unworthy, unlovely creature, do so resent it, when you are hated, how may God justly resent it when you are enemies to him, an infinitely glorious Being; and a Being from whom you have received so much kindness! Third, how unreasonable is it for you to imagine that you can oblige God to have respect to you by any thing that you can do, continuing still to be his enemy. First, he directs the reader to contemplate the great wonder in Christ who gave his life for the sins of everyone who would ever believe. Each one for who Christ died was an enemy. But note: “How wonderful was the love of God the Father, in giving such a gift to those who not only could not be profitable to him, but were his enemies, and to so great a degree!” Edwards continues, “Though they had enmity that sought to pull God down from his throne; yet he so loved them, that he sent down Christ from heaven, from his throne there, to be in the form of a servant; and instead of a throne of glory, gave him to be nailed to the cross, and to be laid in the grave, so we might be brought to a throne of glory.” Edwards drives home the reality of God’s love that was demonstrated for sinners who despised him. Oh, what a love! Second, Edwards encourages believers to modify their perspective to towards their earthly enemies: “Seeing we depend so much on God’s forgiving us, we should exercise a spirit of forgiveness towards our enemies. Men, Naturally God’s Enemies is a well-thought out treatment of the hostility that every natural man has toward the God of the universe. 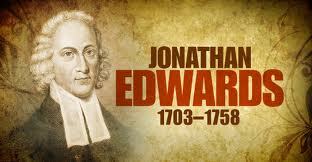 Edwards work is a reminder that is needed in the 21st century church. While most if not all Christ-followers are quick to give lip service to the doctrine of total depravity, some still refuse to embrace the biblical portrait of man; a portrait that when painted correctly reveals the utter hostility and enmity that the natural man has toward God. There is a great need in the church to remind the lost of their true condition before God and to admonish them to flee to the cross to find forgiveness of all their sin. Additionally, there is a great need in reminding Christ-followers of their former condition, which will at the end of the day, ignite a heart filled with worship for the God who demonstrates his love for us! In this fifth post, Edwards turns his attention to the reality of restraining grace. Additionally, he explores the reasons why natural men refuse to come to Christ. First, whenever men are withheld from sinning by the common influence of God’s Spirit, they are withheld by restraining grace. Essentially, Edwards argues that the unconverted would commit sin in the most heinous degree were it not for God’s restraining grace. Second, all the restraints that men are under from the word and ordinances, is from grace. Third, when men are restrained from sin, by the light of nature, this also is of grace. Fourth, when God restrains men’s corruptions by his providence, this is from grace. So in a few sentences, Edwards summarizes the natural inability of sinners to come of their own freewill. It is not for lack of invitation; it is not for lack of opportunity. Rather is it because they freely turn away from the gospel. Simply put, they are free to come – but they are unable to come apart from a divine work of grace. Such an understanding of man natural inability appears to be missing in many churches. That is to say, the semi-pelagian view of the will has gained the ascendency and as a result the gospel is weakened in hearts of many. First, if you continue in your enmity a little longer, there will be a mutual enmity between God and you to all eternity. Edwards draws the eschatological line in the sand and demonstrates the misery of anyone who opposes the rule and reign of the Lord Jesus Christ: “If you should die an enemy to God, there will be no such thing as any reconciliation after death. God will then appear to you in hatred, without any love, any pity, and any mercy at all. As you hate God, he will hate you … If you be not reconciled so as to become his friend in this life, God never will become your friend after death.” Edwards repudiates the notion of “so-called second chance evangelism and annihilationism in a stroke of the pen. First, if you do but observe yourself, and search your own heart, unless you are strangely blinded, you may be sensible of those things, wherein enmity does fundamentally consist. Second, one reason why you have not more sensibly felt the exercises of malice against God, is that your enmity is now exercised partly in your unbelief of God’s being; and this prevents its appearing in other ways. Third, if you think there is a God, yet you do not realize it, that he is such a God as he really is. Fourth, your having always been taught that God is infinitely above you, and out of your reach, has prevented your enmity being exercised in those ways, that otherwise it would have been. Fifth, you have always been taught what a dreadful thing it is to hate God, and how terrible his displeasure; that God sees the heart and knows all the thoughts; and that you are in his hands, and he can make you as miserable as he pleases, and as soon as he pleases. Sixth, one reason why you have not felt more sensible hatred to God may be, because you have not had much trial of what is in your heart. Seven, actions are the best interpreters of the disposition: they show, better than any thing else, what the heart is. It must be because you do not observe your own behavior, that you question whether you are an enemy of God. So Edwards lays the natural man bare. He calls his bluff and peels the works-based exterior, showing with stark clarity the wickedness that lies deep in the heart of the natural, unconverted man. Jonathan Edwards continues his discussion that concerns the natural enmity that sinners have toward a holy God. Once the groundwork is established which demonstrates the natural antagonism that sinners have for God, Edwards proceeds to stress the degree of hostility that is a part of the inner workings of every sinner apart from grace. First, they have no love to God; their enmity is mere enmity without any mixture of love. The carnal mind is deceived when it assumes that there is a natural love for God. Edwards demonstrates that “a natural man is wholly destitute of any principle of love to God … the heart of a natural man is as destitute of love to God, as a dead, stiff, cold corpse.” Jesus confronted the Jews who refused to come to him (John 5:40) and argues in the same vein as Edwards – “But I know that you do not have the love of God within you” (John 5:42). Third, the power of the enmity of natural men against God, is so great, that it is insuperable by any finite power. Here Edwards is concerned to how deep the enmity goes toward God. Even a godly friend or neighbor is powerless to persuade a natural man to turn from sin because the hatred for God is so pervasive. Gracious invitations of ministers go unheeded due to the natural enmity in the heart of unregenerate man: “The tongue of men or of angels cannot persuade them to relinquish their opposition to God.” The hardened sinner remains steadfast in his rampage against God. So Edwards does not leave the natural man without hope. It is only a mighty work of God that can deliver him from his sinful condition. “For while we were still weak, at the right time Christ died for the ungodly.” Indeed, sovereign grace has the power to deliver the depraved and save him from the almighty wrath of God! “For if while we were enemies we were reconciled to God by the death of his Son …” (Rom. 5:10a) is the text that Jonathan Edwards has in mind when he sets out to write his miscellaneous discourse entitled, Men Naturally Are God’s Enemies. The book is arranged in eight sections. The Puritans were fond of presenting their sermons and treatises in two parts – doctrine and application. Hence, the first seven sections focus on doctrine. The eighth is devoted to application. Romans 5 clearly describes, then, the condition of sinners in and of themselves: they are without strength; they are ungodly; they are enemies of God. Edwards argues that most unregenerate people will admit the sinfulness of their hearts; most unregenerate people will admit their lack of love for God. But very few will acknowledge they are enemies of God. The concern of Edwards in this piece is to make the biblical point clear – Natural men are God’s enemies. Edwards unpacks four specific ways that men demonstrate their opposition to God. Their antipathy to God is readily apparent. The language of their hearts is, “Who is the Lord, that I should obey his voice?” The author shows the utter contempt of sinners for God which is in agreement with the Pauline assertion, namely, unregenerate men are God’s enemies.